The much-debated 2009 economic stimulus funding for “green investment” in federal properties has resulted in notable reductions in energy consumption and costs, the General Services Administration announced on Wednesday. Case studies of 59 properties in states hardest hit by cold temperatures last winter showed an average drop in energy use of 5.5 percent, as compared with the winter before the buildings were renovated, GSA said. 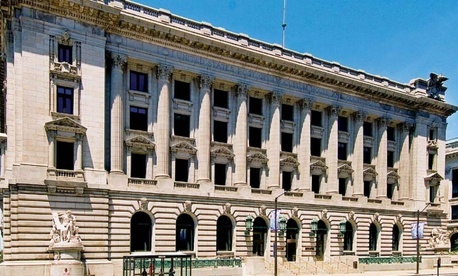 Under the 2009 American Recovery and Reinvestment Act, federal building managers were able to retrofit many buildings with improved heating and cooling systems, repair windows, install LED lighting and use advanced tracking meters to achieve significant savings. GSA provided case studies of progress on three of the retrofitted buildings. GSA counts 447 federal buildings that have used Recovery Act funds to complete or continue green renovations. Eventually, they are expected to reduce energy consumption by 19 percent and yield annual energy cost savings of $62 million.